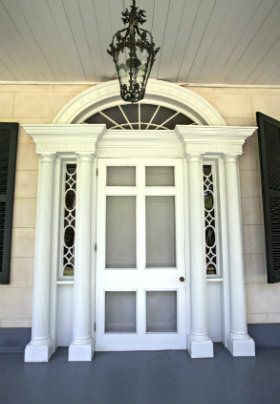 Linden Antebellum Bed & Breakfast is one of the most pristine historic Antebellum homes, located in Natchez, MS. Situated in a serene park-like seven-acre setting, the quiet and beauty of our grounds lead you to believe you are in a country setting, yet the bed and breakfast is just four minutes from the center of downtown Natchez and the Mississippi River. A large number of National and State Historic Registry Sites can be seen within our walkable downtown area. There is also an array of delightful boutiques and eateries for guests to discover around every corner. 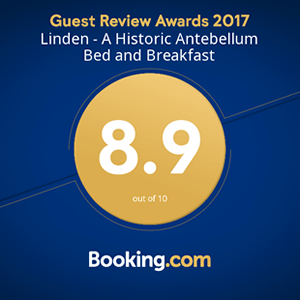 While at Linden Antebellum Bed & Breakfast, you will reside within the walls of the home; there are no dependencies or outbuildings. You may eat breakfast in the formal dining room, as all favored guests should. We realize and appreciate the privilege you have given us by choosing our B&B for your stay in Natchez, Mississippi. 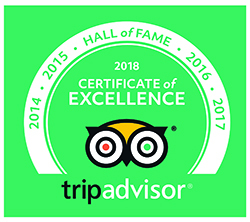 We believe that you deserve to experience true Southern Hospitality that not only meets, but also hopefully exceeds your expectations.